It's my humble opinion that celebrities shouldn't be allowed to have Twitter accounts simply because they're famous. A prime example of the kind of celebrity who could stand to employ more of a team to review tweets before they're sent into the internet is the 45th president of our nation. Others could just do with a brief hiatus while they're combatting their instabilities, like Amanda Bynes circa 2013. But perhaps the most famous celebrity on Twitter to come to mind these days is Kanye West, who's known for delivering epic rants, occasional wisdom and, of course, dramatic disses on the social media platform. The most recent in his Twitter tirades is targeted at Drake, and many think this is the culmination of a lengthier war of words between the two. Over the course of the more than 100 (!) tweets he vomited onto the internet late in the night, he demanded an apology from Drake for "mentioning the 350s," "trying to take food out your idol's kids' mouth," and "sneak dissing" him on brother-in-law Travis Scott's "Sicko Mode." 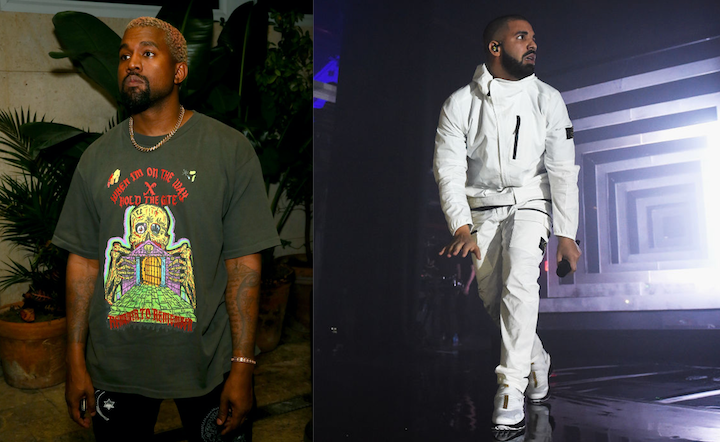 So, what did Drake say about Kanye on "Sicko Mode"? Although the jabs Drake took at Kanye in his verses on "Sicko Mode" weren't as explicit as the diss he threw in French Montana's "No Stylist" — where he rapped "Keepin' it G, I told her 'don't wear no 350s 'round me'," referencing Ye's Yeezy 350 sneakers — we managed to do some digging. 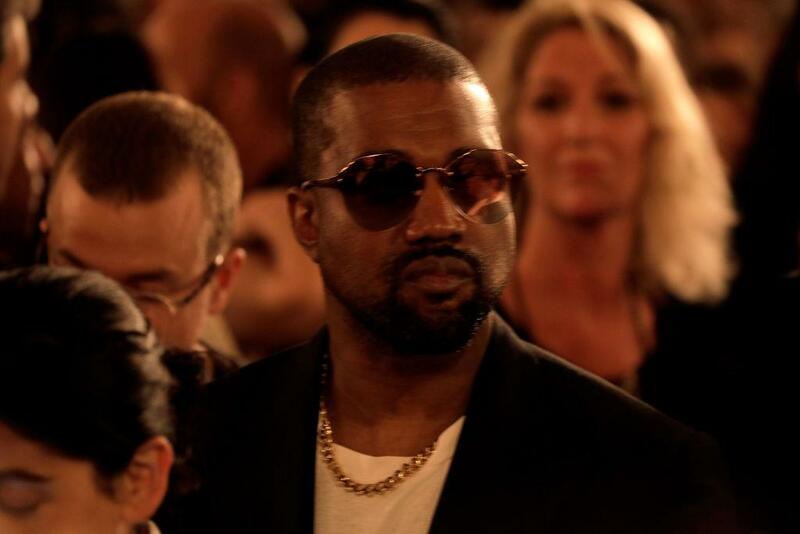 It seems Kanye takes offense at some subtler moments in "Sicko Mode," namely the lines "Jesus Christ, checks over stripes," which refer to Kanye's partnership with Adidas and Drake's with Nike, and "I be spinnin' Valley, circle blocks 'til I'm dizzy/ Like where is he?/ No one seen him/ I'm tryna clean 'em." The latter is what Kanye's denounces on Twitter as a "threat," unpacking the "Valley Circle" line as a reference to the boulevard in Calabasas where Kanye and the Kardashian clan live. Kanye wrote "So drake if anything happens to me or anyone from my family you are the first suspect. So cut the tough talk" seemingly in response to this rap line. But tons of celebrities live in Calabasas, including Drake himself. 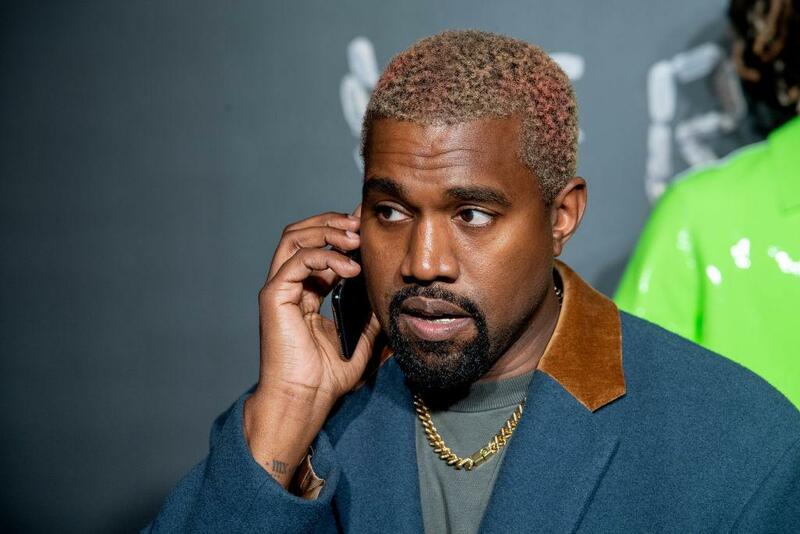 In any case, I don't want to get too deep into the brain of Kanye West, who also brought up several obscure references to purple emojis during his Twitter tirade, such as "Sending purple emojis When I’m dealing with mental sh*t I need my apologies now" and "You wouldn’t send purple emojis to scooter," because I'd rather start the weekend focusing on more beautiful things in life, like poetry. Although I've written about some deeply philosophical and honestly trippy tweets Kanye's sent out throughout the years, I'd like to spend a moment appreciating the diction, rhythm and imagery in his latest tirade. Kanye West is the best celebrity poet Twitter has at the moment, and here's why. Supporting Point 1: Kanye's rant is an impressive reverse poem. Reverse poetry is one of the hardest constraints to pull off. 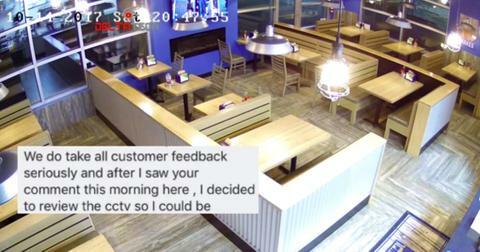 It's been used by some old-school big names like Dante and Emily Dickinson, and essentially requires that a poem can be appreciated when it's read from top to bottom and when it's read from bottom to top. 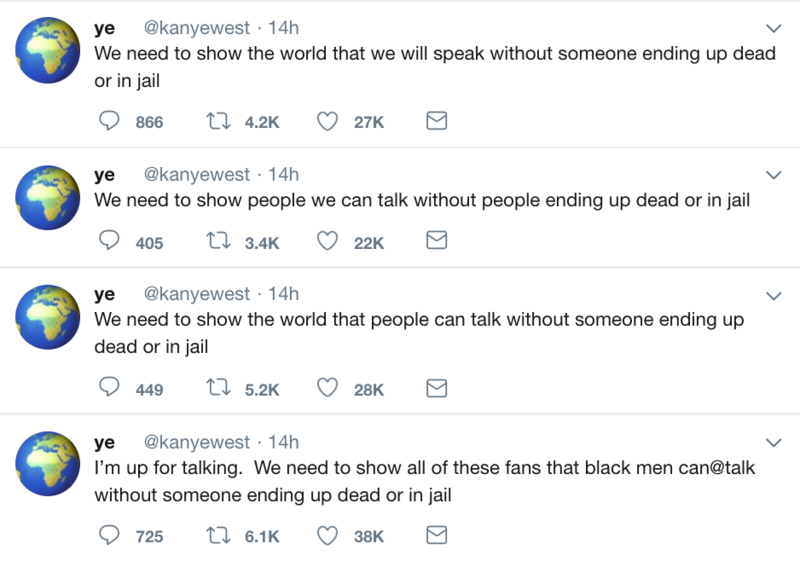 Kanye set himself up for this constraint beautifully by using Twitter as his platform, which obviously logs tweets in reverse chronological order. Supporting Point 2: Kanye's sophisticated rhymes. Granted, he's a rapper, he should know a thing or two about rhythm and rhyme. But unlike Jay-Z who, in my opinion, is a bonafide poetic genius, Kanye's musical verses often feel basic and belabored to me. Not so for his Twitter poetry slam, however. "To the right It’s On sight Saint stays to the right" is a great example of Kanye's preferred type of rhyme, where he rhymes a word with... that same word. Although it doesn't do much for me in his songs, I do appreciate it in writing and admire the pauses he's built into the spacing — very reminiscent of the Concrete Poetry movement of the early 1950s. I'm also totally here for his use of slant, or imperfect, rhyme. An hour and a half before his Saint tweet, Kanye wrote "There would never be a drake without a Kayne west so never come out your mouth with a threat." Though "west" and "threat" don't rhyme perfectly here, the stressed vowel in both words is identical, and the rhythm is totally on point. Supporting Point 3: Kanye's love for repetition. Repetition is one of the key devices in poetry, which is used to stress an emotion, metaphor, or sound in a way that proves evocative to the reader. In last night's Twitter epic, Kanye delivered on repetition brilliantly. "Never threatened north and saint and Chicago's daddy bro / Never threaten north saint and Chicago's dad bro," he sent out yesterday evening. Notice the subtle tense change between the two tweets and how his word choice changes from "daddy" to "dad." Even more impressive is the time he repeats himself four consecutive times, in, let's call it the stanza, he delivers next. Supporting point 4: Kanye's use of simile and metaphor. Simile and metaphor are the basis for any Poetry 101 class. These help poets make their images more emphatic and bring their verses to life in the reader's mind. Metaphors are devices in speech or writing that refer to one thing by mentioning another, in order to highlight possibly hidden similarities between the two. Over the course of his long Twitter poem, Kanye delivers the line "I'm your oxygen," thereby implying that to Drake, he's as important as air. 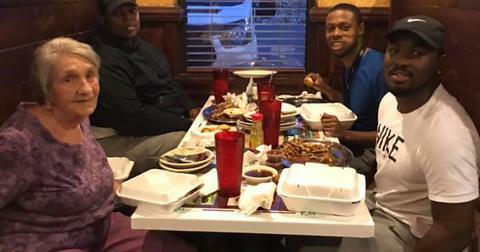 Similes, which are a type of metaphor that employ connecting words such as "like" or "as" also appear in Kanye's lines, and they certainly do the work of illustrating his point. "Drake I'm not going to physically fight you like it's MTV boxing," he spits. Supporting point 5: Kanye's affinity for allusion. T.S. Eliot's "Wasteland" is a poem that's often used to illustrate dense allusions, or brief references to history, myths, or popular culture. In his Twitter rant, the line that stood out most to me is "Perhaps I should have been more like water today," which calls to mind Bruce Lee's famous "Be water, my friend" speech. And it wouldn't be the first time this piece is referenced by artists; Hito Steyerl's "Liquidity, Inc." is rife with quotes and call-backs to the martial artist. I shall continue this analysis at a later time, because there are so many more moments from Kanye's Twitter I would be happy to give an exegesis about. For now, here's hoping Ye never stops tweeting.